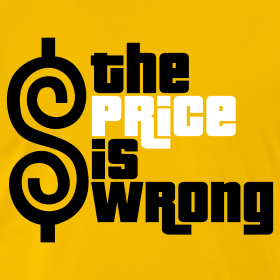 There is a central and unacknowledged problem in urban transportation: The price is wrong. Underlying traffic congestion, unaffordable housing, and the shortage of great urban places is the key fact that we charge the wrong price for using roads. Nowhere are the effects of mispriced roads more apparent than on-street parking. Only for car storage do we regularly allow people to convert a scarce and valuable public space to exclusively private use without paying for the privilege. In neighborhoods that don’t charge for on-street parking, we have have a system that can only be described as socialism for private car storage. The public sector pays for the entire cost of building and maintaining roads, and even in dense urban settings with high demand, we allow cars to occupy those without paying a cent. For the most part, the pitfalls of poorly priced parking go unrecognized and unexamined — we get stuck in congestion and complain about the shortage of parking. But we don’t typically recognize how the wrong price is the root cause of these problems. Every once in a while though, there’s an event that shines a bright light on the consequences of parking socialism, and demonstrates how getting the prices right can fix things in a hurry. The most recent example is Portland Oregon’s reform of its handicapped parking system. For years, the rampant abuse of Portland’s generous handicapped parking system was obvious and well-known. On downtown streets, a blue handicapped placard traditionally entitled users to park for free, as long as they liked. In Oregon, all that is required to get a handicapped permit is a note from one’s doctor and a trip to the DMV. As casual visitors to downtown have observed, entire blocks were occupied from early morning until night by rows of cars, each with a deep blue handicapped placard hanging in its rear view mirror. In an apparent epidemic of frailty, the number of handicapped permits in use in downtown Portland almost doubled between 2007 and 2012. In September 2013, handicapped placard users occupied fully 1,000 of the central city’s 8,000 metered on street spaces. In July, that all changed. Led by Commissioner Steve Novick (full disclosure: Steve is a long time friend), the city limited free parking to wheelchair users who possessed a special permit. Those with generic handicapped placards can still largely ignore maximum time limits, but they have to pay for the space they use. The city even created special “scratch off” parking tags so that users wouldn’t have to walk to meters to pay: you can see all the details of the new system here. Overnight, the parking landscape in downtown Portland changed. Spaces occupied by placard users dropped 70%. Getting the price right freed up 720 parking spots for other, paying users, expanding the effective supply of parking by nearly 10%. The results of the change are described in a new report released by the Portland Bureau of Transportation. Press reports of the days following the policy reported an eery abundance of vacant on-street parking spaces. The change is even more remarkable in the heart of the central business district. I looked at the six most central parking beats in the city—for those familiar with Portland, an area bounded by Burnside Street on the north, the Willamette River on the east, Jefferson and Market Streets on the south, and 10th and 11th Avenues on the west. (These are beats 1,2,3,4,6 and 11). This area contains a total of about 1,850 on-street metered parking spaces. A year ago, 450 spaces–nearly a quarter of them–were occupied by vehicles with handicapped placards. That’s fallen to 105 placard users–a reduction of 75 percent from the free-parking era. This is the equivalent of adding about 350 parking spaces to the supply of street parking in the heart of downtown Portland. Freeing up on-street parking spaces makes the transportation system work better: people don’t circle endlessly searching for a “free” parking space; paying customers eager to make purchases can park closer to their destinations, and local governments can use meter revenue to make improvements to the neighborhood that make it more pleasant for residents. The city’s new report doesn’t spell out how much additional revenue the city stands to make as a result of the change. A good rough estimate would be that the city nets about $10 per meter per business day; if so, it would clear an additional $1.4 million per year (700 meters times $10 times 200 business days). Parking meter revenues help pay for street maintenance and improvements, which the city says are badly under-funded—so this change will help reduce that gap. Portland’s Bureau of Transportation is currently undertaking an effort to study and recommend new parking tools policies for city neighborhoods. Hopefully they recognize the lessons from pricing handicap spaces downtown and apply sensible pricing schemes in other areas to make the city’s neighborhoods even greater. The larger lesson here should be abundantly clear: charging users for something approaching the value of the public space that they are using produces a transportation system that works better for everyone. When we get the prices right, or even closer to right, good things happen. We can’t solve our parking problems until we admit that when it comes to city streets, the price is wrong.